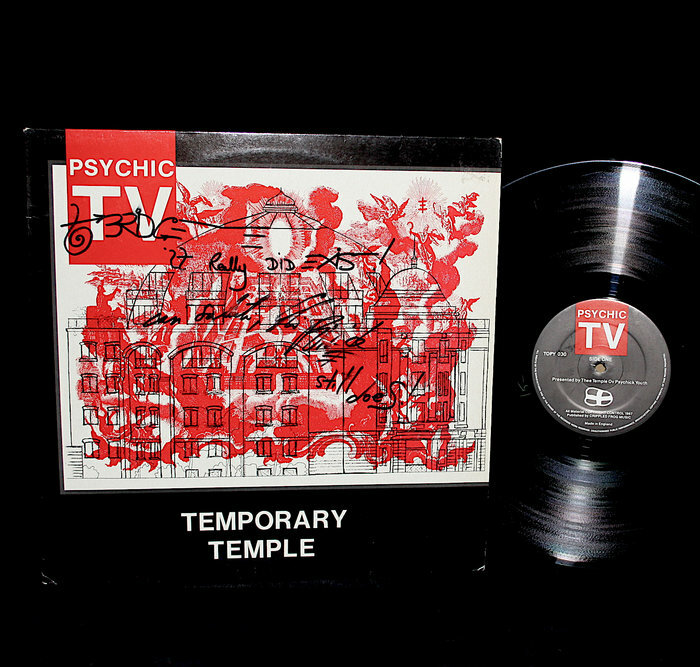 A Temple Records 1984 Release. Limited edition ov 2300 copies only. This is thee Ninth in a series ov 23 live disconcerts recorded on L.P.'s by PTV. This event was organised by thee Grey Organisation and John Gosling on Saturday July 28 1984. It took place in a derelict circular building in Drayton Park, London. Nothing Short Of A Total War. Published by Crippled Frog Musick 1987. A Temple Records (1984) Hyperdelic Release. Title of sides are symbols.